A mass exodus of Ukrainians to Russia: The symbol of the new year in Ukraine may be a Cossack Vakula* that flies over precincts in St. Petersburg. Or a deserted farm near Little Russian Dikanka, a hut where the wind sings through the windows. Ukrainians are rushing to Russia not for overseas slippers, but for daily bread. They run from the country with their families, together with their farm neighbors, leaving forever. Members of the International human rights organization Human Rights Action (HRA) said that over the past year in Ukraine, where over the last 10 years the population has decreased from 48 to 42 million, more than three million people have left for Russia! And according to European researchers the depopulation going on in the Ukraine is about to cause a social explosion. This is what the Prime Minister of Ukraine Vladimir Groisman acknowledged at one of the recent sessions of the government. In the session there was talk that Ukraine in the next year may be deprived of its last support – the agricultural sector. The land will soon have no one to work it, as it’s the elderly who remain in the villages. Ukrainian youth are not needed in the Europe that is now supersaturated with migrants, but it is easy to find earnings in Russia. Kiev media also are actively discussing the warning of Oleksandr Okhrimenko, President of the Ukrainian Analytical Center. He made the forecast that in the next year the migratory flow from the Ukraine could grow by half, and a quarter of those who left would change citizenship, and will work in Russia. 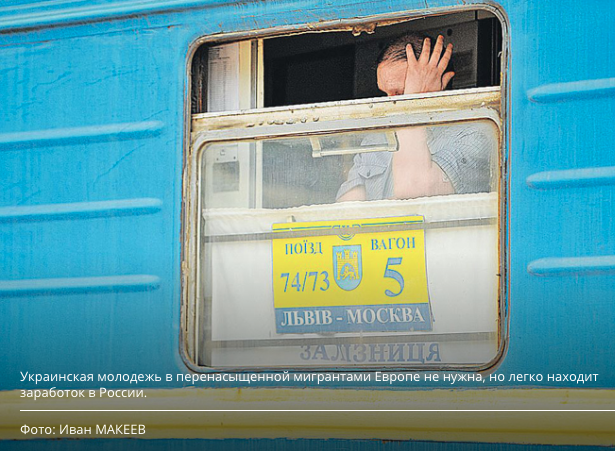 The Russian Interior Ministry notes a sharp increase in the flow of migrants from Ukraine. It is expected that in the second half of October 25-30 thousand migrant workers more than usual will arrive in Russia from Ukraine. Already 80-85 thousand Ukrainian citizens arrive per week. Basically they come to us in search of work. At the same time, it is no longer about the residents of the Donbass, who fled from the war. It is very real ethnic Ukrainians, from the western regions. In Ukraine, some experts are trying to support the version of this as a seasonal phenomenon: it is said, the potato harvest is done on the farms and now they have gone to earn some cash on Russian construction sites. But experts at “KP” argue that it’s not just that. – The economic crisis has gotten worse in the Ukraine, as people are looking for any stable earnings and Poroshenko has once again shown that Ukrainians are not needed in Europe. They are not needed either as migrant workers or as visa-free visitors, Yuri Moskovski told the correspondent of “Komsomolskaya Pravda.” Moskovski is chairman of the National Affairs Council in the Government of Moscow, and the Foundation projects director, international relations for the Neighbourhood Foundation. “They always find their niche on the Russian labor market. Our task is to receive them, place, and help them to adapt. The migration from the Ukraine will continue to grow.”** When the Zaporozhye army swore oaths to Russia, about 700 thousand people lived there. When Ukraine left the Soviet Union, there were more than 50 million citizens, and now in fact – 38. But Bandera said in his time time that for the Ukraine to establish a national state a population of 20 million would do. His successors have chosen his path. They are stubbornly headed to depopulation. There are several reasons why the citizens of Ukraine began to recuse their nationality, and leave for Russia with their families. Though last year the Ukrainians were free to come to Russia and work, while remaining in the background with other migrants virtually invisible to law enforcement, the migration rules have become stricter this year. Under the current legislation a migrant from Ukraine is obliged to register, acquire an INN (Taxpayer ID Number), health insurance, pass an exam on the Russian language, to acquire a work permit, is given a month to get a contract of employment, and has to pay 4000 rubles a month on the permit. Violators are fined, and forcibly expelled with a re-entry restriction for 5-10 years. In addition, the Federal Migration Service of Russia, which was engaged in the control of illegal migration, has recently been abolished. The functions of this department were turned over to the Interior Ministry of Russia, a Ministry, which will not only supervise but also achieve results with forceful measures. 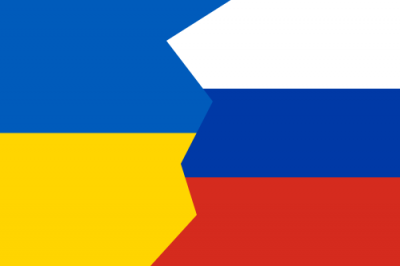 It is because the Ukrainians are in a rush to move to Russia, to obtain residence permits, and Russian citizenship, which gives the right to work without restrictions and additional fees. Poroshenko recently added to this determination among his constituents. He put pressure on his people by means of prohibitions on Russian payment systems, and fears of an introduction of a visa regime with Russia. All within the format of the chosen policy: Team Poroshenko clearly is following the precepts of Bandera. 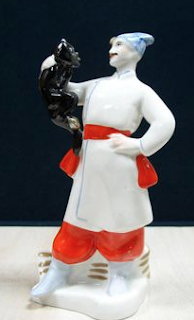 *Vakula the Smith: character from a Gogol story, common in porcelan; also an opera. **The quotation marks are placed by the translator: The quoted passage is plainly from Moskovski, but the original writer has no quotation marks at all, so it is unclear where Moskovski leaves off and the writer tacks on — Tr.